It is with a heavy heart to announce that Maestro Raphy Leavitt, the iconic musician, composer, director and founder of the orchestra "Raphy Leavitt Y La Selecta" , died at the age of 67 on Wednesday August 5, 2015 during the the early am morning hours in a Miami hospital due to post surgical complications. A private family service will be held Monday, August 10, 2015 from 4:00Pm to 10:00 pm at Funeraria Buxeda 574 Calle Cesar Gonzalez, San Juan, PR 00918-3738. According to La Selecta band member Edgard Navarez, "Raphy had developed a bacterial infection in May of 2015 in his hip and temporarily moved to Miami to treat the bacterial condition so he could follow up with routine hip surgery. On Monday, August 3rd, during the hip operation it was discovered the bacterial infection was still present and the operation was cancelled. Shortly afterward, Raphy had three postoperative strokes and on Wednesday passed away in his sleep with his loving wife Maria Barreto Leavitt by his side. 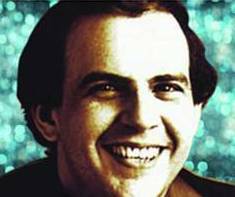 Rafael Rey Angel Leavitt was born in San Juan, Puerto Rico, on September 17, 1948 and was known in the musical world as Raphy Leavitt. During his childhood, he studied music at the Academy of Accordions George Kudirka. A natural on the piano and accordion.,he participated in an orchestra Forty Accordionists, standing as the first accordion and soloist. After graduating from the University of Puerto Rico in 1971, Leavitt formed the orchestra La Selecta and took on the roles of its director, composer, pianist and arranger with lead singer Sammy Marrero. The orchestra would go on to produce numerous international gold hits and over 30 albums topping the Billboard latin charts. Among Raphy Leavitt's other fan favorites includes hits such as 'Clown', 'La Cuna Blanca', 'Jibaro Soy', 'Soldier', 'My Neighborhood', 'Lonesome' and 'Clubbing Selecta', among others. Ralph Cartagena owner of Combo Records and long time friend and manager of Ralph Leavitt Y La Selecta stated upon hearing of Raphy's passing "It was a pleasure knowing and working with Maestro Raphy Leavitt. He was always an incredibly gifted artist, composer, arranger, poet and 100% Boricua, but more importantly, he was a gentlemen as a friend and as a professional. The orchestra "La Selecta", his wife Maria, myself and the city of San Juan are in the process of honoring his memory for his fans and respectfully request privacy for his family during this difficult time. Everyone close to Raphy knew his passion for La Selecta and therefore, the orchestra will continue in his memory."